﻿ Khun Chaweng Resort, Koh Samui | FROM $20 - SAVE ON AGODA! "Clean room, great size, perfect location." Have a question for Khun Chaweng Resort? "Great location at the Cahweng beach." "The hotel is in the heart of Samui, lots of shops, pharmacies, restaurants and bar all around it." "Great staff, great location, great room, except for the bath..."
When visiting Samui, you'll feel right at home at Khun Chaweng Resort, which offers quality accommodation and great service. From here, guests can enjoy easy access to all that the lively city has to offer. With its convenient location, the hotel offers easy access to the city's must-see destinations. Khun Chaweng Resort offers impeccable service and all the essential amenities to invigorate travelers. The hotel offers access to a vast array of services, including 24-hour front desk, luggage storage, Wi-Fi in public areas, car park, airport transfer. Experience high quality room facilities during your stay here. Some rooms include air conditioning, satellite/cable TV, refrigerator, in room safe, shower, provided to help guests recharge after a long day. Besides, the hotel's host of recreational offerings ensures you have plenty to do during your stay. Discover an engaging blend of professional service and a wide array of features at Khun Chaweng Resort. "Nice hotel, very good value for money." The hotel room is amazing large Bass clean very good layout comfortable bed the only negative is the lack of power outlets in the room. Big clean Sunny swimming pool. On my 5th day I asked for a later check out (1 instead of noon) and she would only allow me 15 minutes. At 12:12 she knocked on my door asking me if I was ready. Overall a great stay. good hotel but noisy if you are close from the road , the concept of the room does not allow intimacy you have to keep curtain closed permanently . Sanded glass at least on half eight would have been better. Last thing you need to crawl to reach the safety box. But It was a nice stay. Excellent stay for a party minded person, don't expect to sleep before 4.30 am as music from venues close by won't allow that happen.shower is good, TV channel choice not good, clean towels and water provided each day even if your in bed sleeping of the night before. It really is an excellent location. Stayed for a week in a room just off the pool which was quite and far away enough from the main road for a good night sleep. Bed was comfortable. Reception staff are great. For all the years of visiting Thailand I still cannot fathom why they are so skimp with toilet paper. Value for money, neat rooms and great location. It was a pleasant stay. Great, I must say. The location is perfect. 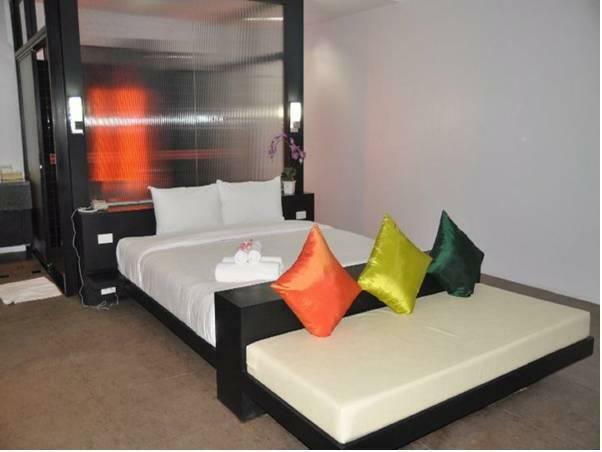 The proximity to food outlets, entertainment joints, Muay Thai stadium and even the beach is what makes Khun Chaweng hotel a great hotel to stay. Some of the rooms and bathrooms are large. By and large, the rooms are neat and cosy. We just stay a night in this hotel. There is not include breakfast for our stay. The hotel was in great location, you can easy to excess to nightlight entertainment, beachside and shopping area. But the worse thing is the hotel was situated beside the pub, therefore it is not suitable for family with young children. And it is quite noisy all the night. a place hidden behind a bar, a hotel barely notice from outside and inside are totally different from it looks. the room is awesome..... the bed is soft n comfort perhaps the hotel is still new. the shower place are cool and semi transparent. the entrance is bit noisy as a bar is just in front of your staying but don't worry, sound proof are good enough to stay. another thing, do check out the pool behind as it also equip with jacuzzi in case you need.﻿ we stay 4 hotels during our trip to samui, khun chaweng is the place we like the most. i would recommend this hotel. Check in was quick and easy. Staff were friendly and very helpful. The place had a roving security guard so you felt secured. Room was spacious and clean. Bed was big (can fit 3 people easily) and comfy. Bathroom is big too. They clean the room every day. There is a pool at the back. They are extending the back part of the resort but there was no construction when we were there so not noisy. Good restaurants around the resort. Starz Cabaret is just in front of the resort but they shut around 1am so it's ok as long as you don't try to sleep before then. 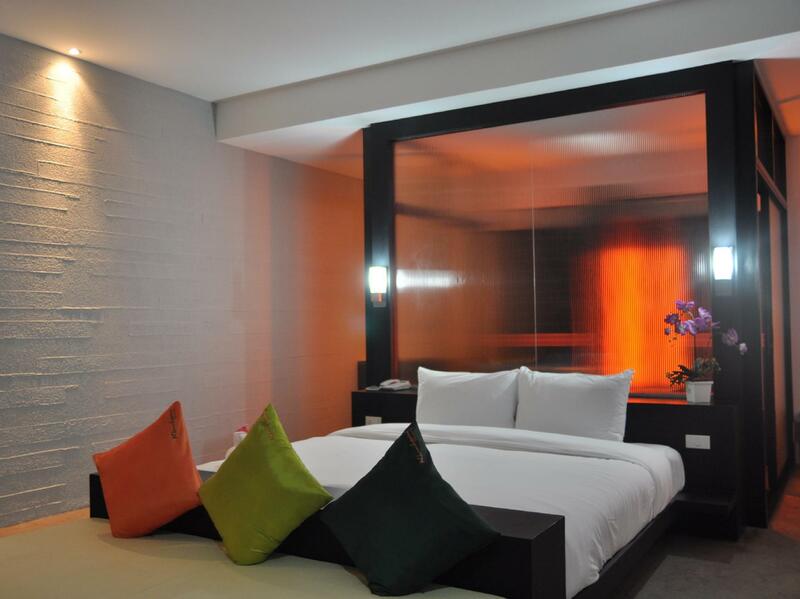 Best for night owls as convenient to hop around all night-out places in Chaweng area. Note: Hotel is behind an Alcazar Show Theatre, those who can't handle noise over bedtime, please assure you are located at the room deep down at the end, unless you'll be back at hotel after all pubs/ resto closed. Location can't be beat, rooms are quite nice, price is right. hotel is converted from a strip shopping center. the rooms still have the all-glass store fronts with large privacy curtains. the rooms themselves are quite nice with a wonderful "rain shower" shower head for a soothing hot shower. refrigerator, nice comfortable beds, small lcd tv, air and even a couple of umbrellas were provided in the room but no phone. the location is ideal except that at the front of the hotel there is cabaret show that goes until midnight and it is loud. this situation kinda ruins what would be one of the best hotel deals in chaweng. it is also close to being on the flight path of the samui airport runway so this noise is present also. the staff were nice and helpful for the most part and you have to pay a 500 baht key deposit...which oddly enough isn't given back to you when you give them the key but rather after you give them the key and they've checked your room after departure. i don't believe in this type of deceitful behavior....it should be called a room deposit and not a key deposit. beware. if you're looking for quiet and peaceful accommodation, go elsewhere. if you are interested in partying and value for the money, this place is for you. i will probably stay elsewhere if i return to chaweng. Great location but no air in the room and you must always be with the curtains close unless you want to be seen naked even just to change clothes. No privacy at all and everyone who walks to their rooms crosses yours. Hotel Location was Great but sadly the whole 3 Days Stay was a NIGHTMARE !!! We arrived at Night & Both the Night Shift Staffs were EXTREMELY RUDE !!!! Room was also Full of Mosquitoes & the Air Con was HOT & water was leaking from it. Informed the Night Shift Staffs but apparently they said there was nothing can be done !!! Really REGRETTED Booking this Hotel & if only I havent paid Online to Agoda I will DEFINITELY NOT STAY at this place. The hotel is new, clean and well kept. The room is not too small, bathroom comes with a rain shower which is awesome. there is not much privacy in the bathroom though as its all glass, although its frosted glass on most part of it. Breakfast is not provided by the hotel but its not a problem as there are lots of restaurants surrounding the hotel. The hotel is in the heart of Samui, lots of shops, pharmacies, restaurants and bar all around it. There is a pool with a jacuzzi in the hotel, but ive never seen anyone using it. 3 min walk to the beach I would definitely come back here again. The hotel is in the center of foreigner street so food around here is quite more expensive than other areas. Though there is a bar at the front of the lobby but the room we stayed is surprisingly quiet. There is a small pool at the back of the hotel which we didn't have a chance to try as we had a little time, just 2 days in Samui. The only bad experience we had was that the bed sheet wasn't really clean, my boyfriend found some sand on it, not much though. Apart from that, it was a nice stay in reasonable price. -staff very helpfull -even there's no water heater in the room but u can have hot water at the receptionist -near to 7e,arkbar,massage also just nearby. -even close to cabaret but still u can sleep well. overall me n my husband really enjoyed staying here.